JEYPORE: Have Maoists of KBK region established a new base in Narayanpatna in Koraput, bordering Orissa-Andhra Pradesh to spread their activities to Kandhamal? The question is now haunting the police administration and intelligence agencies working in both the States. The killing of two top Maoists near Narayanpatna two days back in an encounter is a pointer towards the question. Considering backwardness of the region and inaction of the administration, the Maoists have started their operation first in Malkangiri in 1980s. Since then, Malkangiri has been the base area of Maoists of Orissa, Chhattisgarh and Andhra Pradesh. Over the years, they have expanded their base to whole of southern Orissa. In recent years, there have been frequent Maoist attacks in Naranyanpatna putting the police on their toes. Despite presence of CRPF and armed forces in Narayanpatna, Maoist-related incidents continue to occur in the area. Having over 1,000 km radius of dense forests that border the two States, this area has lately turned into a haven for the Maoist led People’s War. Sources said that due to frequent police raids in Malkangiri, the Maoists have shifted their base to Narayanpatna and their meetings are mostly conducted in this area. As many as 10 encounters have been recorded by in this area during the last few weeks. The inaccessible hilly terrain makes it their favourable hideout. This entry was posted on October 18, 2008 at 11:37 am	and is filed under ANDHRAPRADESH, NAXALISM, ORISSA. 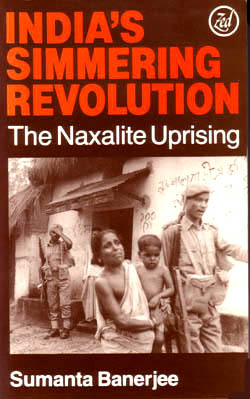 Tagged: kandhamal, naxal uprising, sumanta banerjee. You can follow any responses to this entry through the RSS 2.0 feed. You can leave a response, or trackback from your own site.